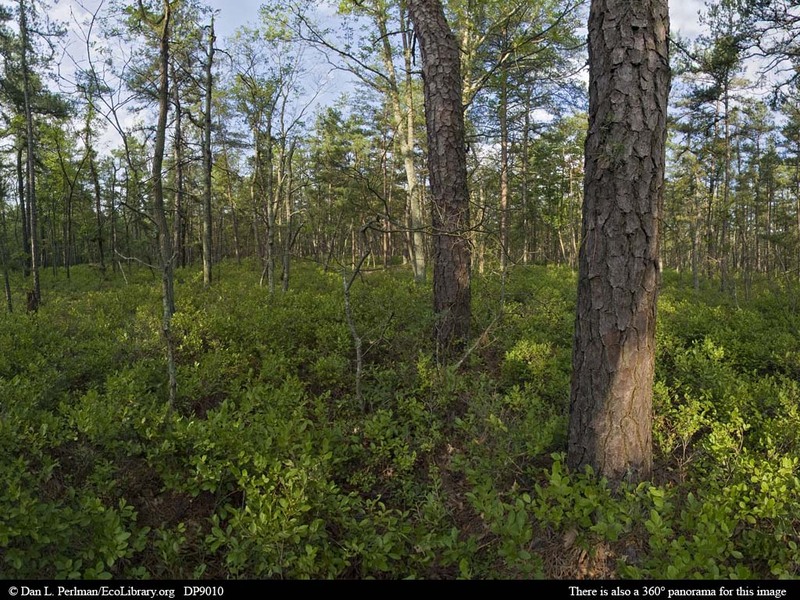 Pine barrens are dominated by just a few species, such as the pitch pine and blueberry bushes seen here. Fire is a dominant feature of this ecosystem, and these species are able to either survive fire or resprout readily afterwards. In addition, the soil is quite sandy, so although the ecosystem receives a good amount of rain each year, the water drains away quickly and plants may experience water stress.